Dixon and Company Affiliated Inc.
Dixon & Company can also save the client the time and expense of finding just the right financial manager to employ full time, even through staff changes or reorganizations. Dixon & Company ensures that the financial records of each of its clients, without regard to profit motive, are properly documented, accurate and complete. Dixon & Company can work as an entityâ€™s entire financial office and function autonomously or as specialist performing a single specific task like payroll, tax preparation or accounts receivable maintenance. Dixon & Company is a team of professionals including bookkeepers, accountants and consultants providing traditional bookkeeping functions. Accurate, Effective Accounting... | Bookkeeping at its Finest! Welcome to Dixon and Company! We take the stress out of bookkeeping! 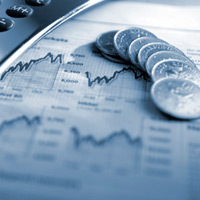 Dixon & Company is a Bookkeeping and Financial Management Services firm based in Connecticut. Our services are designed to help you concentrate on your business with the confidence that your financial records are complete and accurate. We are dedicated to assuring the highest standards of integrity and professionalism and we believe transparency creates opportunities. We are commited to integrity and client confidentiality. We are confident that we can provide the high quality services that you and your organization require. For more information or to discuss a scope of services, feel free to contact us via email, or give us a call at the phone number below. We are currently working to provide the best user experience possible. Most of our upgrades are complete. Thank you for your patience and thank you for visiting Dixon & Company. Â© 2011 Dixon & Company. All rights reserved.